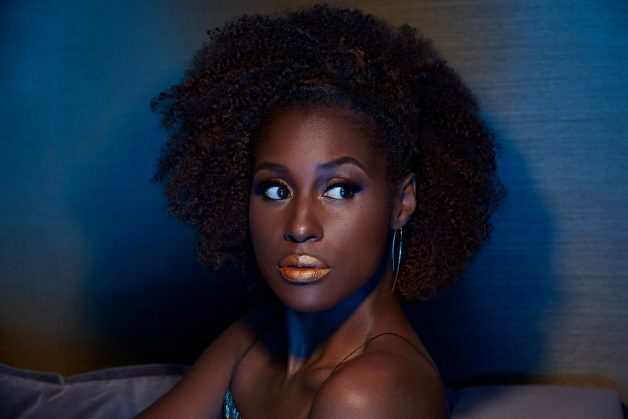 Issa Rae Reps COVERGIRL’s Melting Pout Metallics So Well! Without a doubt, Issa Rae has stepped into her light and her purpose and it is glorious to behold. I adore her and the squad on Insecure. And I LOVE seeing her shine as one of the latest COVERGIRL representatives, giving awkward black girls new goals to aspire to. Today, Cyber Monday, marks the debut of her campaign for COVERGIRL’s new Melting Pout Metallics. And what are those? Melting Pout Metallics are 12 dimensional, highly pigmented liquid metallic shades that are available starting NOW at this Cyber Monday sale! Check out this commercial, she looks AMAZING! Glowing and drop dead gorgeous. Here she’s rocking 24 Carat. The collection will be available in drugstores starting in December. If you purchase through the COVERGIRL online Cyber Monday sale, you receive one Melting Pout Metallics Lipstick for $7.99 OR 3 lipsticks for $20 and receive free shipping — sweet deal! Check it out at MeltingPoutMetallics.com. And check out Issa and all of her work at IssaRae.com. « Come With Me to the Harlem Fine Arts Show, Courtesy of COUNTRY Financial! Unfortunately I was at a stop light when I watched the Spot and at the endI laughed sooo hard that my foot almost slipped…. I love Issa Rae and the Lip Sticks are everything!! !